Are global and personal economic demands and increased competition putting pressure on you and your sales team to offer price and discount concessions? Are your margins eroding and your products/services being commoditized? 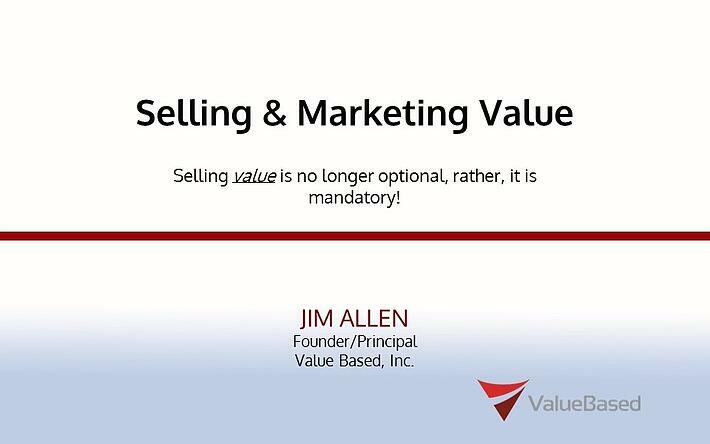 If you answered yes to either of these questions you’ll want to attend this webinar to learn the “why”, “what”, “when” and “how” of integrating value based selling best practices into your existing sales process.